Happy Friday, friends! 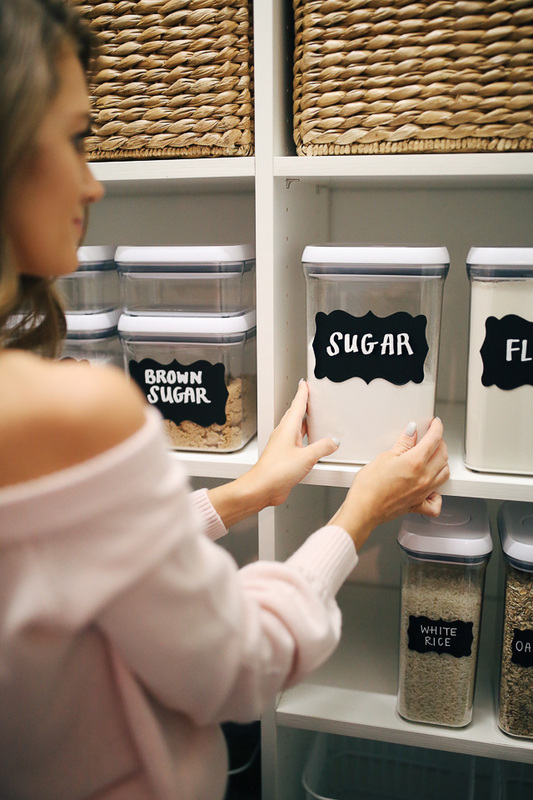 I shared a little snippet of this pantry DIY project on Instagram stories and was so excited when a bunch of you told me that you wanted to see a full post on it! I am used to having only a few cabinets dedicated to food storage (since I’ve spent the past nine years living in apartments), so having a full pantry is still a novelty that I’m trying to get used to. 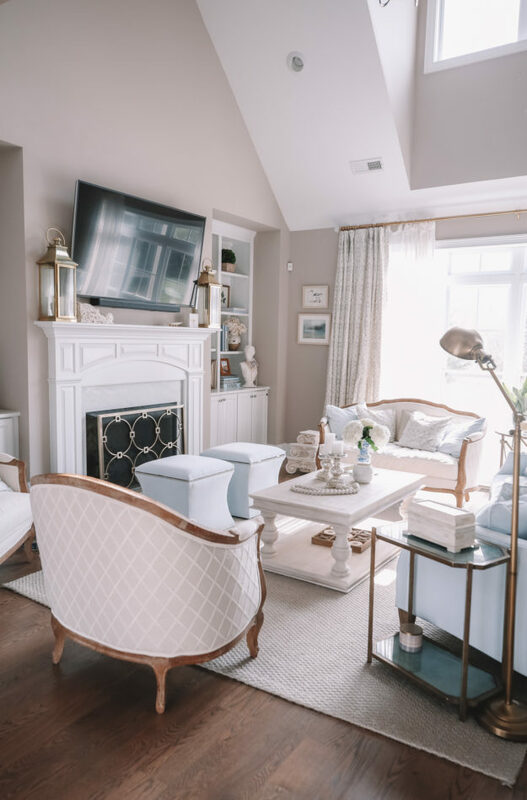 I wanted to take advantage of the space and make it as organized and efficient as possible! For my little “DIY project,” I ordered chalk markers and labels from the Container Store. I used these thick chalk markers for the bigger chalkboard labels and these thin chalk markers for the smaller chalkboard labels – I recommend ordering three packs of the large labels and three packs of the smaller ones to get started. I wrote everything in capital letters to keep it neat and uniform-looking, but you can really make it your own with pretty calligraphy or cursive writing. I also ordered these hanging labels for the woven baskets (since you can’t apply a sticker directly to them). Woven baskets can also be effective pantry organizers when you use them correctly – but I don’t recommend them for everything. They’re nice to look at, but the large sizes can become so full of food that you can’t see what’s at the bottom. 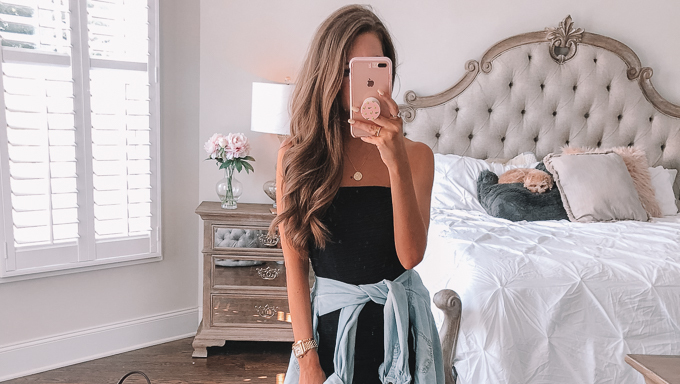 However, they do work well to store items like bags of food, snacks, prepackaged breakfast items, large quantities of the same item, and extra canned goods. I bought these savannah utility baskets because I love the way they look and they hide my K-cups and other pre-packaged snacks. 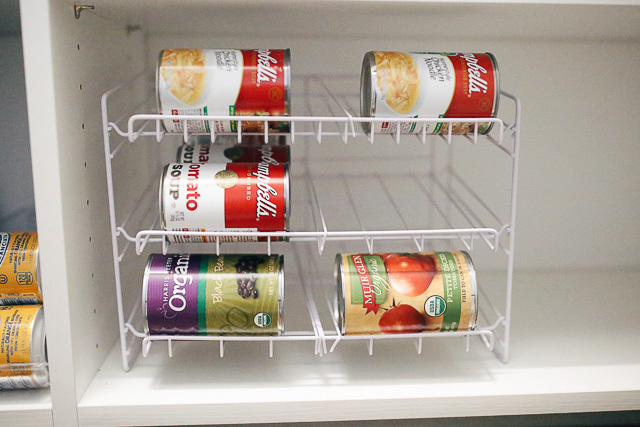 For canned goods, I ended up purchasing this can-rack for all my cans of soup, tomatoes, beans, etc. And finally, I also purchased these stackable baskets to keep fruit and vegetables. They’re nice if you like to buy huge quantities of a certain fruit or vegetable. I always like to have apples and oranges on hand! I’m still playing around with the order of things… it will probably take me a few months to get it exactly how I like it. I’d love to hear your thoughts! Oh and if you have any pantry tips, leave them in the comments so we can all see! I super love your can organizer! What a great space saver!! Love this so much!! Being organized instantly makes me feel better 🙂 Thanks for sharing! ahhhh this is PERFECT timing!!!! So helpful!!! I move into our new house in a couple weeks! 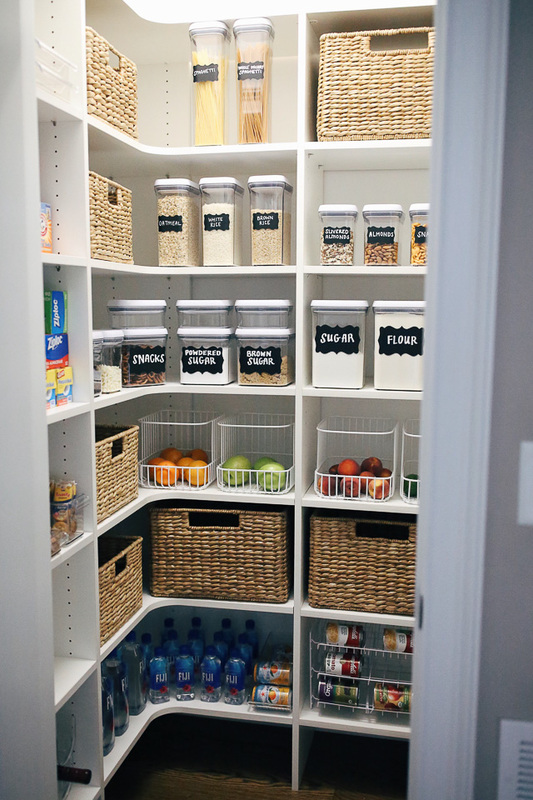 This pantry really is perfection! I wish I had so much space for my stuff. This is such a dream!! I love when you do posts like this! Keep the house posts coming! 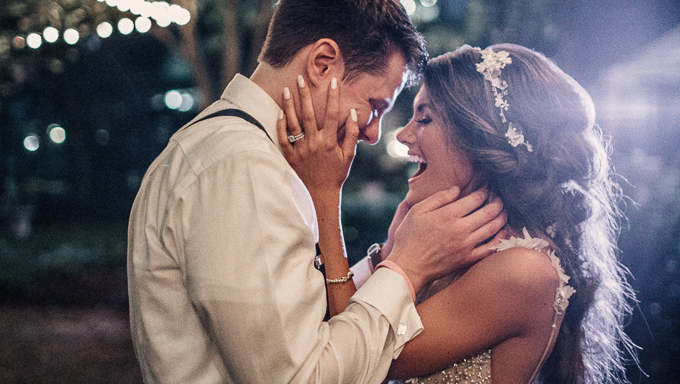 Ahhh, I love this post, Caitlin! 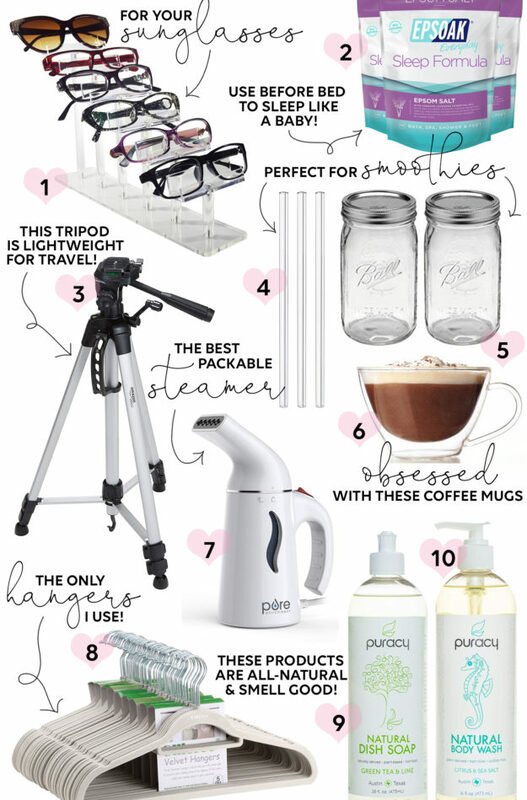 I have a thing for OXO products so I love this post even more! I JUST cleaned up my entire kitchen and was looking at ways to store things without the package boxes so thank you for this post. 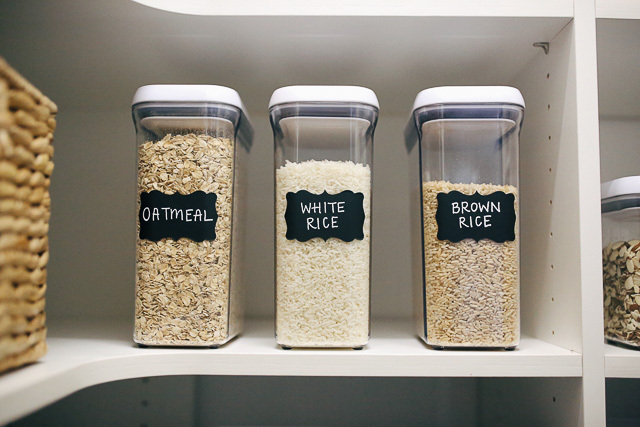 A kinda-sorta pantry tip I have are these food containers. They are amazing! They don't stain (think spaghetti sauce) and don't have the white ring around them when you pull them out of the dishwasher. I've been using them for about ten years and one of them FINALLY started cracking, so that tells you the quality of them! Can't wait to see tips from everyone else! 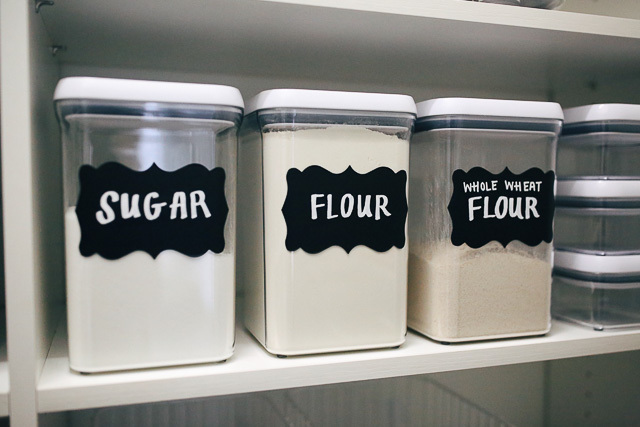 Oh my gosh, pantry goals!! 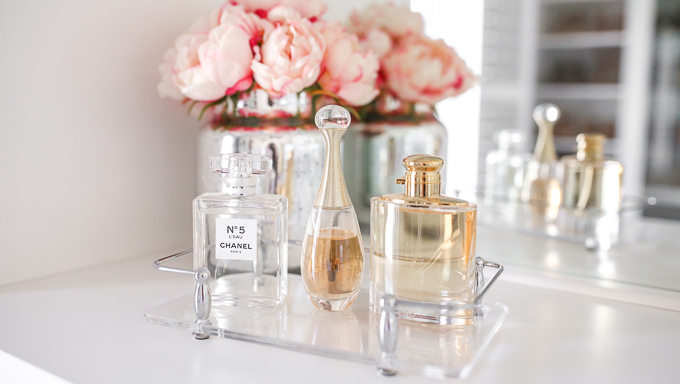 I love the way you organized everything! Great job!! Pantry goals! It looks absolutely amazing! 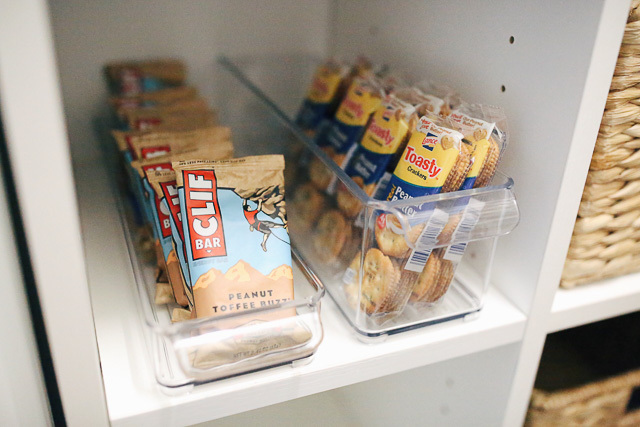 Can you tell me where you got the trays/containers where you have your clif bars & the pb crackers? I really could use something like that! Thank you! They look like Interdesign Linus pantry bins. You can find them on Amazon, Container Store or at TJMaxx sometimes. I have a couple in my fridge and love them! How big is your pantry? I love how you have organized it, and I’m wondering if I can do something similar in mine? Love how you organized everything! My only concern would be expiration dates but i guess you could stick something on the bottom of the containers noting the date. So many new items I can put on my registry list now! everything looks beautiful! but where is your bread? I have a hard time finding a basket big enough for a loaf plus buns…. Love all the racks and containers! Thanks for sharing! 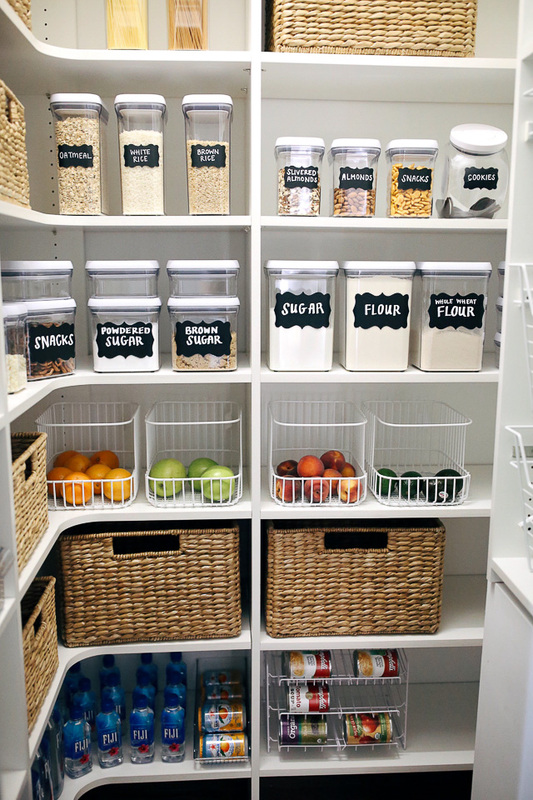 This is the most organized pantry ever, love the home inspiration!! 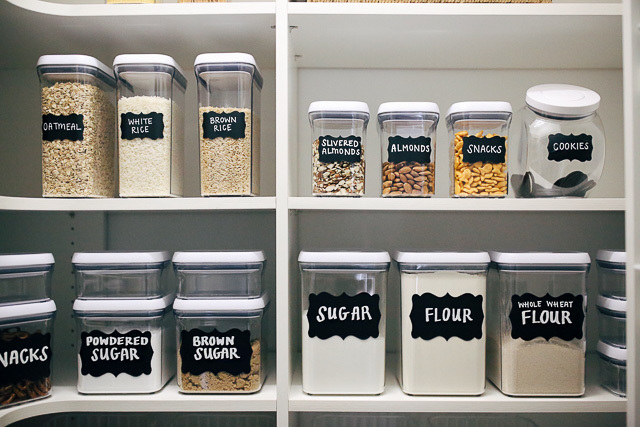 Your pantry organisation is literally goals! I love it! Thanks for the great post! love the shelving! did it come with the house, or did you install it yourself? 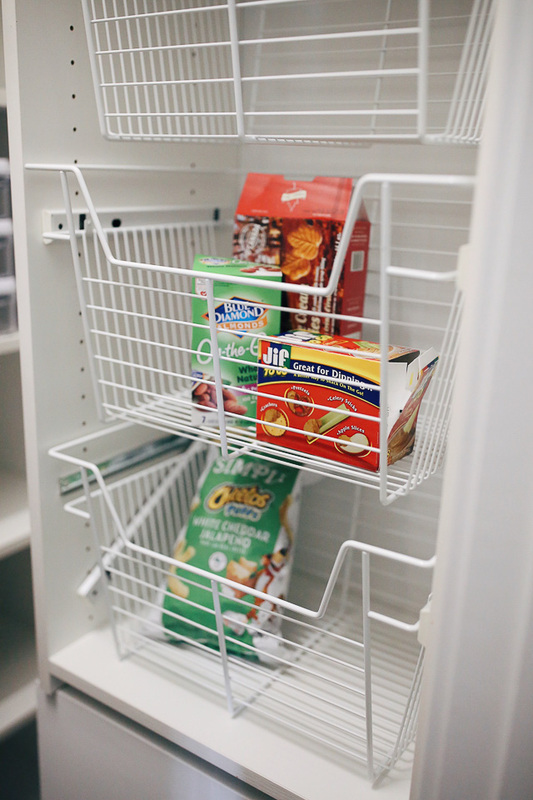 Your pantry looks so cute! Love the inspiration! Awesome ideas! 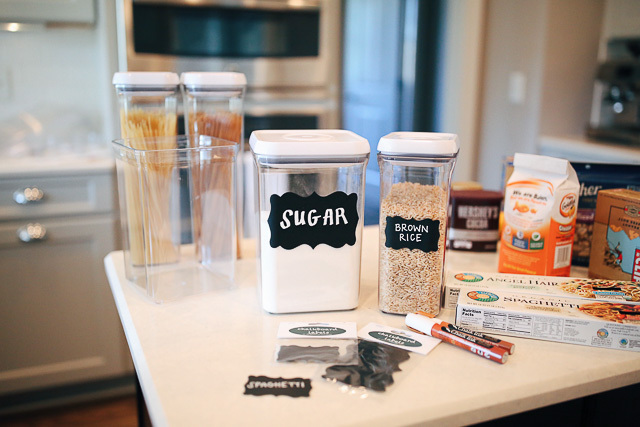 Going to use some of these ideas for my own pantry! 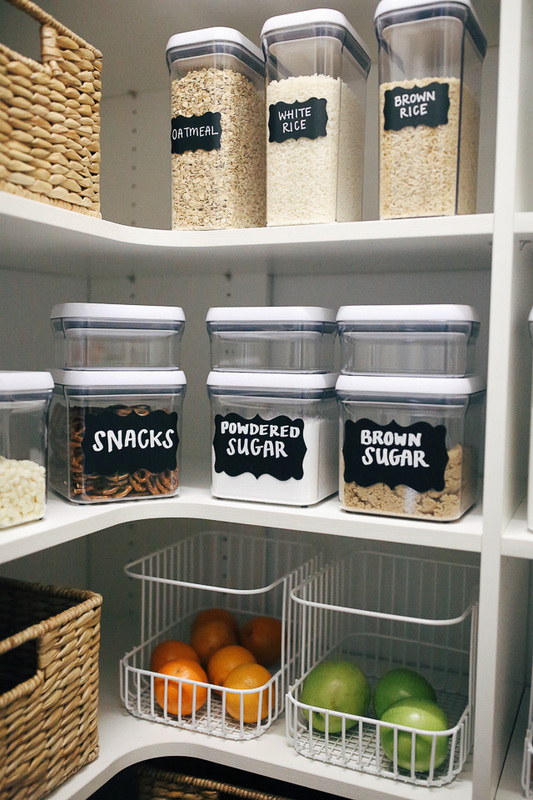 Your pantry is literally a dream!! I am obsessed with your pantry! It is so neat and organized! I live in NYC and space is always an issue I deal with. 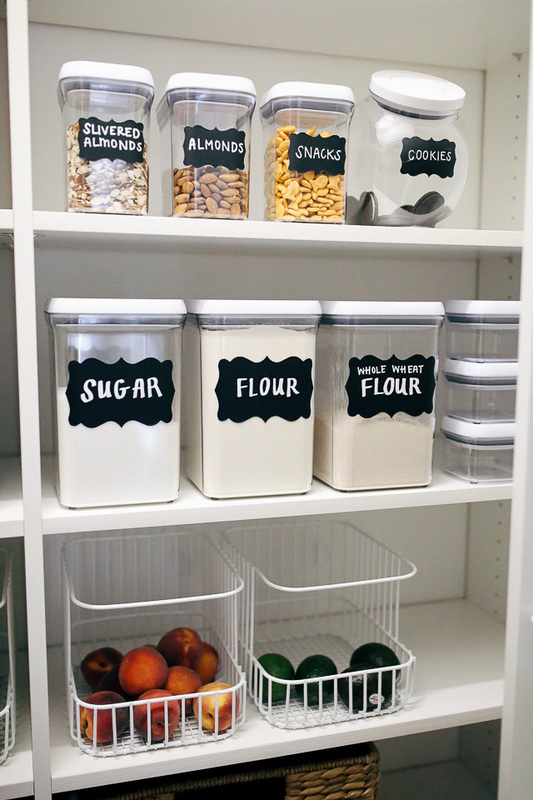 I need those chalkboard labels and thick markers. Thank you for the inspiration! This is so inspiring!!! Can't wait to get my own place so I can do this!! LOVE it! 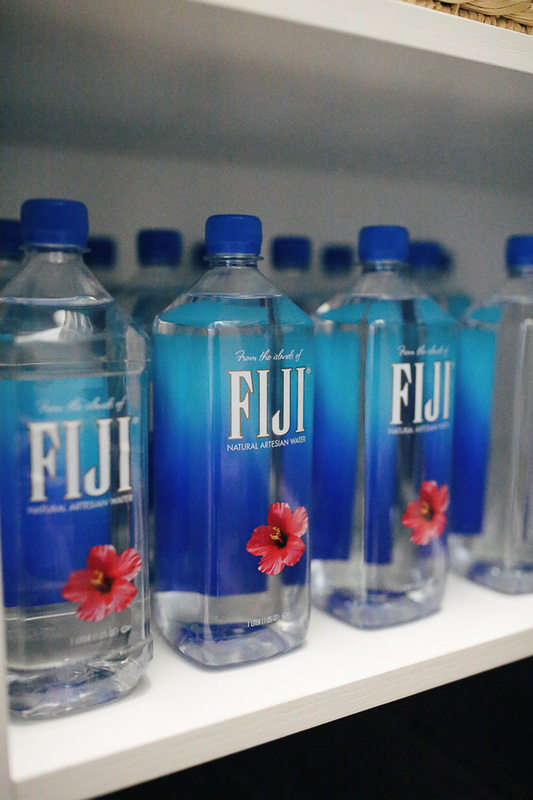 Organizing is KEY. I love those chalk board labels! I love this! Can you do a bathroom organizing post too!?! Where did you get the lovely corner shelving? I so need that.